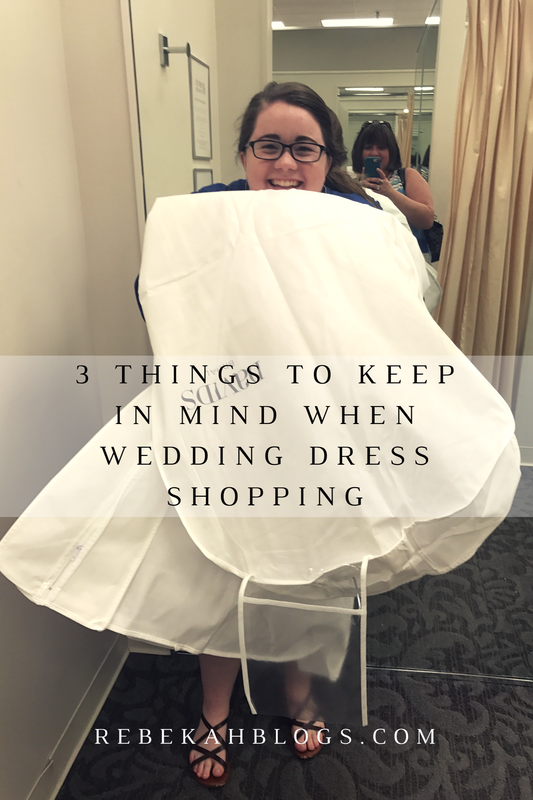 Wedding dress shopping was one of the most exciting experiences! My mom and I went and my aunt and cousin surprised me at the store. It was just such a fun and surreal day. It’s almost overwhelming how many options and different styles they have. There are so many emotions you have when trying on dresses that you don’t think you’ll have. I went in thinking it was “just a dress”, but it ended up feeling like much more because it is. It really makes the whole thing seem more real. I was lucky, the dress I chose was like the third or fourth dress I tried on, but don’t just buy a dress to buy a dress and hurry the process. Buy the dress that you love and feel them most beautiful in. Don’t stress out about your body. Buy a dress that you feel the most confident and comfortable in. Don’t buy something you’ll have to lose weight to fit in or look good. This is supposed to be such a fun and exciting time doesn’t taint it! Surround yourself with people that love and support you. Don’t bring people just because you feel obligated to, enjoy the moment with the people YOU want to enjoy the moment with. If you want it to be just you and your mom then do that, if you want it to be with you, your family, his family and bridal party then do that!